After scoring a decent hit with action thriller ‘Raees’ this year, Badshah of Bollywood Shah Rukh Khan is back with a romantic drama ‘Jab Harry Met Sejal‘ on this Friday, August 4th, 2017. This film is directed by Imtiaz Ali and produced by SRK’s wife Gauri Khan under their banners Red Chillies Entertainment. Their fourth collaboration after Rab Ne Bana Di Jodi and Jab Tak Hai Jaan, To go with Shah Rukh Khan’s cameo in Anushka Sharma starer “Ae Dil Hai Mushkil”. Pre-production of the film had begun in April 2015 and principal photography commenced in August 2016 in Prague, Amsterdam, Vienna, Lisbon and Budapest. Losing the Engagement Ring and to search for is the entire movie which makes it a little okay. Search for Lost Plot Like the Ring but Beautiful watch with the scenic beauty. It is a good watch. Let’s give the devil his due, Imtiaz’s films do coax and cajole you to take a journey inwards instead of just doing the peripheral one. But in this film, the actual soul-searching bits between the leads doesn’t quite add up. What makes this film watchable though is the presence of Shah Rukh and Anushka both of who are in top-form in their Punjabi and Gujarati impersonations. In fact, SRK is like old wine, the more he matures, the better he romances. 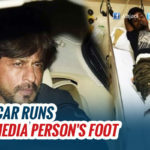 SRK: He plays a louche but lonely tourist guide in Europe – does not yield the expected magic. Anushka Sharma: Anushka, in the guise of a young, chirpy lawyer looking for a lost engagement ring, is high-spirited enough to push this plot less whimsy along for a while. 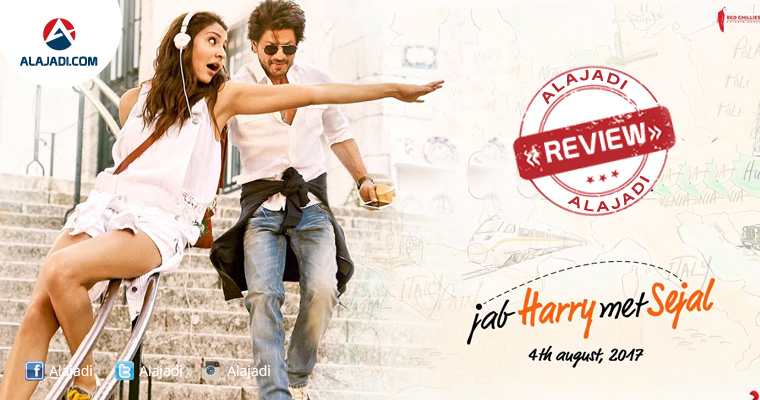 Film Made on a budget of Rs 62 crore, Jab Harry Met Sejal has rich production values. The beautiful picturisation, songs, background score, punch lines and exotic locales make the film a visual treat, say the film goes. The beautiful locations are obviously eye-catching, but surely surface gloss, star power, lively music and sparkling camerawork can never be enough to turn a patchy and whimsical film into a convincing two-hander about a pair of individuals thirsting for more than what their lives have offered them. Anushka Sharma’s Gujarati accent is one good thing about the movie.